This December 9-10, I will be joining over 45 other awesome designers and Makers at the FAD Holiday Market . Located that weekend at the Invisible Dog Art Center . From the Market's website- “FAD Market is a roving Fashion, Art and Design pop-up marketplace that travels seasonally to unique venues in the vibrant borough of Brooklyn. We aim to create a thoughtfully curated platform for artists, designers and members of the public to meet, interact, and together, discover the art and culture within our community. 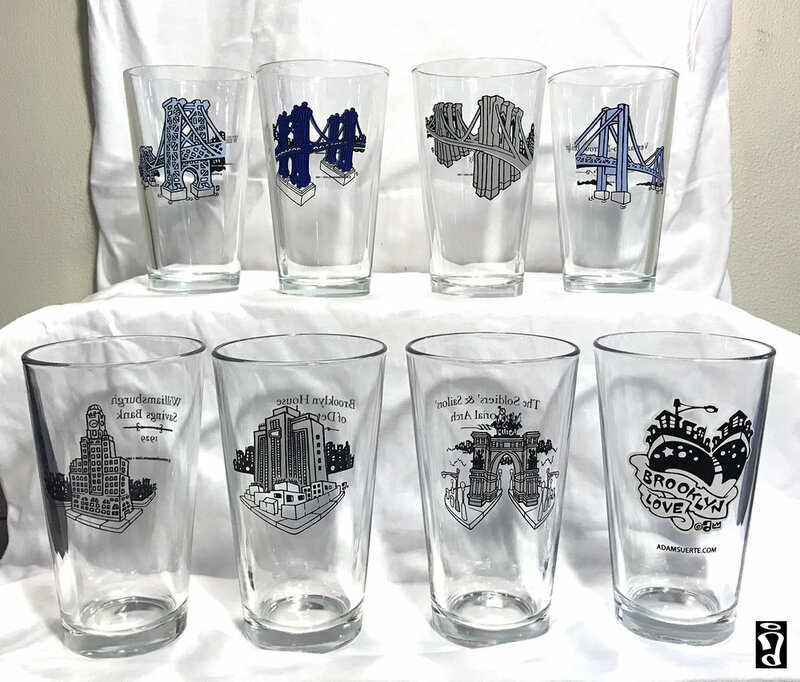 “ I will have my infamous Brooklyn Landmark Pint Glasses on sale as well as some original artwork, affordable prints, and other stuff from my trademarked “Brooklyn Love®” merchandise line. Come on down and say hi! The beautiful Book of Exquisite Corpses release!